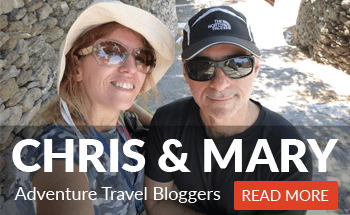 Oh, the wonderful things to do in Santorini island in Greece! Well, I think Santorini is one of the most famous islands all around the world, and one of the best places to be. At least one of the most famous Greek islands, next to Mykonos, Crete, Rhodes, Corfu and more. 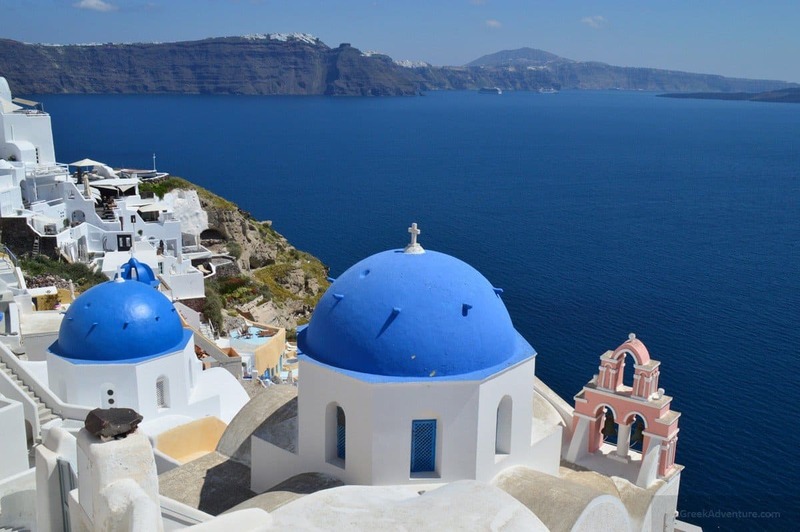 What to do in Santorini Greece? Where is the best place to stay in Santorini? I visited this island twice so far. 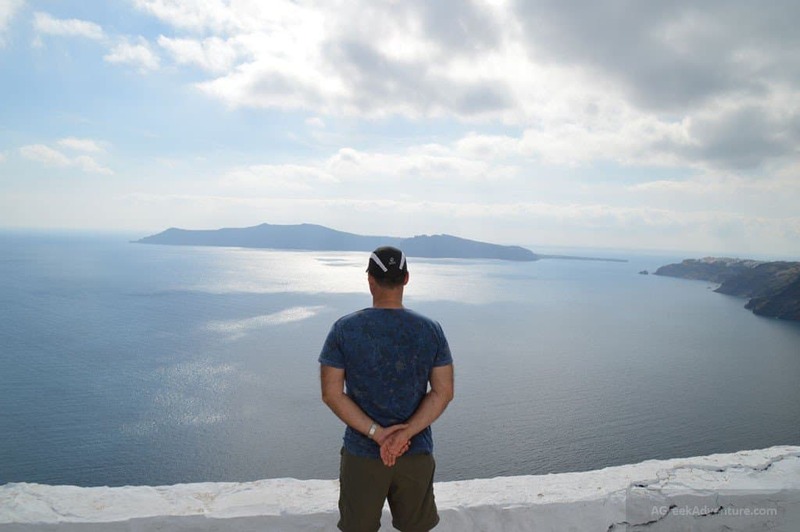 The interesting thing is that I visited the island of Santorini in two completely different periods of my life. One when I was around 17 and one around 40. In both times I found tons of things to do. By the way, Imerovigli is a really quite place with the best view in Santorini. What I saw was that Santorini kept the same feeling and balance between traditional houses and “tourist” attractions as it was all these years before. I got the same feeling more or less which is a plus for the Mayor and habitants of the island to manage to keep this unique sensation and style, this island has. I went through the different little pathways and narrow passages between houses, tasting some very nice snacks and plates during the days I spent there. I also climbed to the top of the mountain above ancient Thira where you can see everything around and the vistas are spectacular. 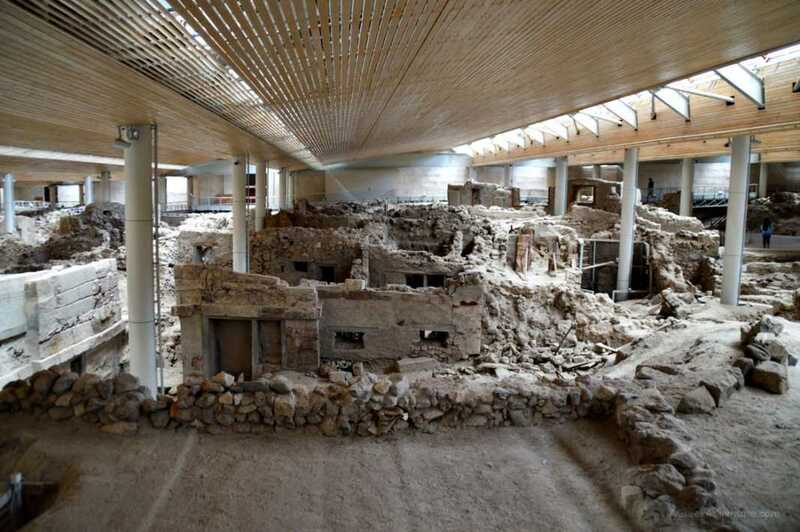 Talking about ancient landmaks, do visit the famous Akrotiri Archaeological site. Here is an additional big list of suggested tours and posts to read. Read all the content in this post. There are tons of things to do in Santorini. 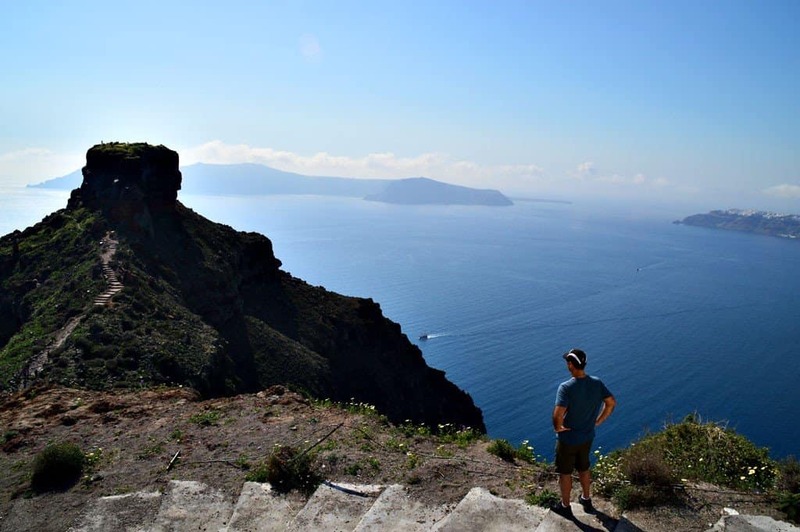 A 20km hiking from Thira to Oia. Best views in the world. Get light and happy with a high quality winery tour or also get a foodie tour! Catch fish with the locals! Amaze your friends back home! Learn to cook like a Greek! 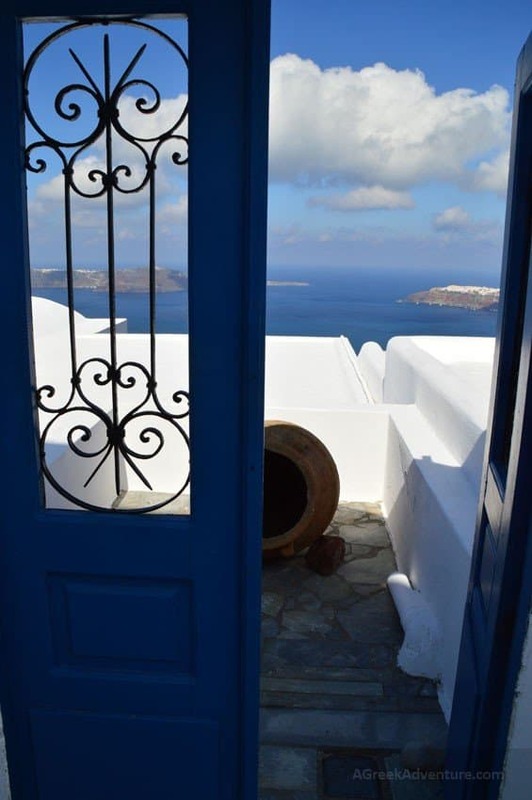 Get the best view of Santorini (besides Imerovigli and Caldera). Go to Pyrgos village! The island, located at Cyclades complex of islands, was formed in its current shape after the enormous volcanic eruption of the famous Santorini volcano. Prior to this the island’s name was Strogili (round). The blast changed the shape of the island and thus the name (had to) change also. The back then habitats of the island are alleged to be linked with the Cretans/Minoans. After the eruption a Tsunami blasted measured around 70 feet high and with a 100km speed. Imagine the Minoans shock back then. The magma still pure out slowly from the once above the sea level land. 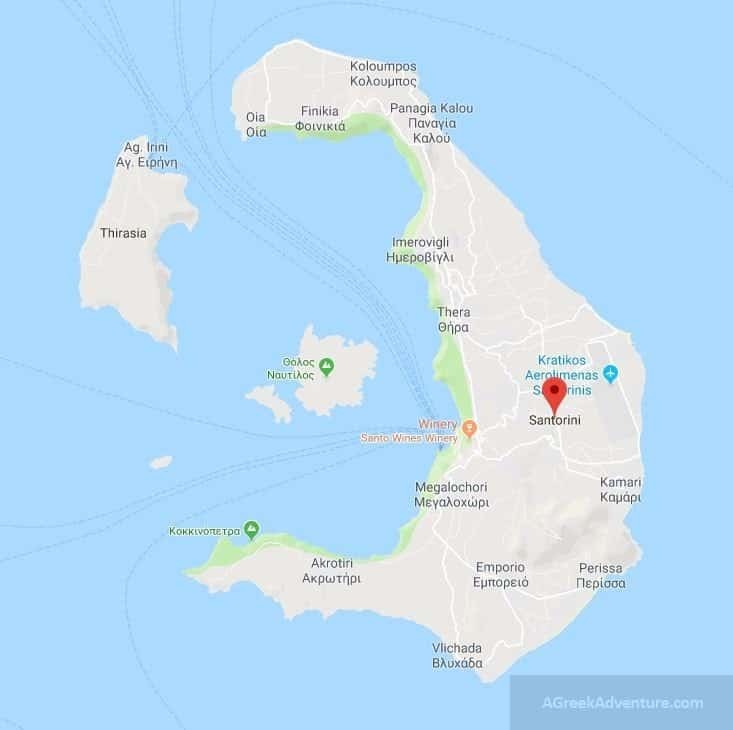 Actually the island Nea Kameni (which is a no-green ground) is like a cork on top of the underwater volcano and a result of magma spill from it. Slowly during all these years Nea Kameni was formed from spilled magma. I also visited this place with a boat cruise and climbed to the top (not easy at all and sulphur smells strongly at some points. A plenitude of activities is available to all visitors to this island. Like going long boat cruises on wooden boats where you dive in many different places around the island and enjoy nice snacks aboard. A towel and a swimsuit is the formal dress code for these. Or do the traditional donkey ride where I felt sympathy for those four legged fellows doing this up and down so many times per day. I visited beaches with crystal waters and jet skied for the first time in my life. If only I knew what I was missing all this time!!! To the surprise of many I didn’t watch the sunset at Oia. But tasted some nice wines. Well, Santorini is a lot about wines. By talking with the people there I learned many details for which wines are good and which are less good. Why the quality of the black Santorini wine is different from the white ones and for what exact reasons. I am not going to tell you… you will have to either google it or taste it yourselves. There are many wine tours and many wineries in the island. Just ask the local restaurants or small shops which to visit, depending the village you are staying in. Actually, specific food and wine tours are organized all the time. By all manners. you have to try Vinsanto. Not so much as a table wine than as a sweet desert. In some place in Santorini, I heard that you can rent a seat in a small scuba boat and you can explore the ruins at the bottom of the island sea. Well, don’t do it. They informed me that it was abandoned as a project. The island is famous for weddings and a splendid honeymoon location. Many people, literally around the world, go the island to get married and spent their sweet first days as a couple there. If you like photography the whole island is a set for cart postal shooting. Everything get into the frame and look dreamy. The caves in Caldera where build as houses at first, from the first settlers due to their fear for pirates. Slowly, the villages of Oia and Fira sprung out. Until today, villagers do dig caves to store nets and their fishing equipment. But the old caves I mentioned before transformed to high value houses. The climate in these cave (yet luxurious) houses is very good. Cool in summer and warm in winter. Arched roofs of Santorini, have a specific and significant role in these Santorini buildings. They help to keep temperatures in normal levels and they are part of the island’s scenery and particular characteristics. One of top things to do is to swim to the volcanic formatted beaches. Despite this magnificent beauty and views to Caldera, Santorini doesn’t have too many beaches. Of, course the ones she has are really really interesting. All are located around 10 to 12km from Thira (Fyra). Red beach Santorini: Red and black volcanic pebbles. Water is warm. Kamari beach Santorini: Next to Perissa. Perissa beach Santorini: Black sand. Perivolos beach Santorini: Longest black sand beach of the island. Vlychada: Regular, sandy beach well organized. Agios Georgios beach Santorini: Well organized beach, regular sand. Monolithos beach Santorini: Mainly for families. Even has a playground. White beach Santorini: Black pebbles at shore, with white colored hills. There are no beaches on the road from Fira to Oia. Red beach and Kamari beach are a couple of the most popular ones. A big variety of hotels exists in Santorini, along with a good range of apartments. Prices vary depending on the facilities and the location. Imerovigli and Oia is more expensive than i.e. Pyrgos. You can always take a walk from Fira to Oia so you can easily choose either to stay. Visitors will find a ton of apartments and hotels and studios to stay in the island. It depends on the taste, likes and what you want to do or where closer to be. Distances in the island are very logical and hog bikes are everywhere with controlled speed for those who don’t drive cars, nor bikes. Just try to find the best price for a room with a view. It is the first thing you will see at morning and it will pay all its money in feelings. Try to find more budget friendly hotels near popular beaches, like the Red beach or the Kamari beach. There are regular flights from many locations around Greece. Read the detailed posts mentioned in the ferries section to learn more. Click and read the extended post with all instructions for Athens to Santorini ferries and flights. Click and read the extended post with all instructions for Crete to Santorini ferries and flights. Covering an area of just 96 km2, Santorini is located in the southern Aegean Sea. It is a circular group of volcanic islands. The island is easy to drive through and no particular traffic problems are encountered even in high tourist season. The next island -relatively close- to Santorini, is Crete, which is the biggest Greek island. It takes about 45 minutes to drive from one end of Santorini to the other (for example getting from Oia to Akrotiri). Weather patttern in Santorini follows the generic one of Greece. Hot summer with lots of wind during August (special characteristic of Cyclades islands), mild spring and autumn, cool winter. Take one of the many half/day trip boats from Santorini and visit the Nea Kammeni island. This is actually part of the volcano. There is still smoke coming up. 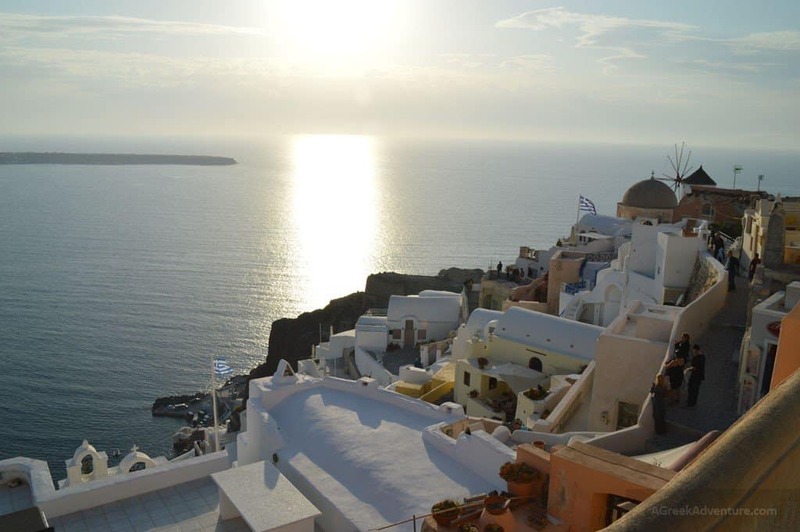 There is ongoing volcanic activity under Santorini, so the temperature ranges between 86ºF and 95ºF (30°C and 35°C). Easter is a really nice time when it falls close to spring. In general May to October, weather is fine and sunny. In case you plan to get married in Santorini then the popular months are June and September. If you are on a tight budget then prefer any month after winter: March, April, May, October, November have reduced hotel prices. Though, not all hotels are open but you can find a luxury suite in Imerovigli in May for 100 euro (much more expensive in hot season). If you plan to go in summer, book 5 to 8 months ahead! Nightlife in Santorini is really strong but happens at very specific places. You won’t find loud music and “wild clubbing” in Imerovilgi and Oia. Fira (the capital), is usually the place all go for the bars and clubbing. However, there are really nice beach bars in Santorini. Most are in Perissa and Perivolos beaches. Since Santorini is known to be The Romantic Island (for some reason…), you will find bars with a cool and chill-out atmosphere in Oia and Fira (mostly in Firostefani). Yes, since you are there do take your significant other and do watch the sunset. It’s like a ritual for all visitors. But don’t do only that. There are numerous beaches even with different sand colors (black, red) which are crystal clear Aegean water. Visit the museum of Prehistoric Thera and learn something amazing (which I will also not share) for the island and how back it goes in history. But most of all be aware. You will find that the island has a specific energy that seems to positively alter you energy to a higher level. You will indeed feel different from day one (or at least the day after un packing). Taste the white eggplants. Very delicious. And tomatoes which are grown with almost no water (sounds like tomatoes from Malta actually), and cherry tomatoes. If you want to launch your taste ask for Fava, tomato-balls, cod fish with garlic, and for sure “chloro”. It’s goat cheese quite fresh. And finally seek for “Melitinia” small pies. Other than that, do explore. The island is not an adventure destination and green is limited but it covers all the rest as any Aegean island. Such a beautiful island & fantastic things to do in Santorini Greece. In our opinion, it is a must destination for everyone in the world.